lbekom Launcher kids toys top metal fusion BB99 Hell Kerbecs BD145DS Metal Fusion Battle Top Starter w/ BeyLauncher L-R STRING LAUNCHER! This also remind memory of childhood for adult, just play this with your family or friends.Play against your friends or join the battle at the tournaments to test to your skill. launchers from previous purchases, this Beyblade will work with those. Nice Gift for Kids.One of the most popular toys for children of all ages. This is A Starter set! Includes launcher & ripcord. 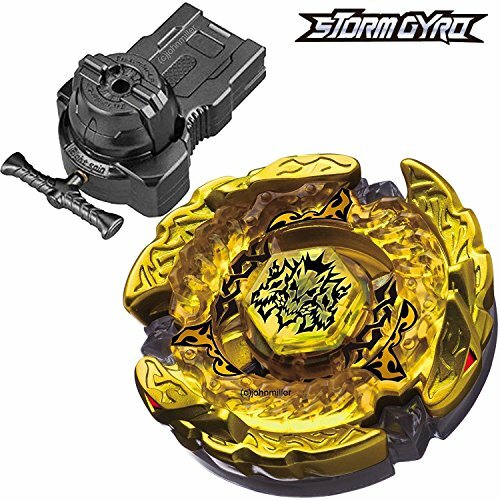 Let it rip with Gyro Burst, the third generation of the popular gyro ! If you have any questions about this product by lbekom, contact us by completing and submitting the form below. If you are looking for a specif part number, please include it with your message.